Natural, synthetic free cleaning for your home, making a safer environment for you, your family and our world. Handmade from vegetable fibres and sustainable timbers our Eco Max Household Brushes are a natural alternative to plastics in your home. All our Eco Max Brushes are registered with The Vegan Society, biodegradable and ethically handmade in Sri Lanka. Coconut fibres are tough so they aren't worried by mud or dirt. Easy to wash & shaped to get into difficult areas, the Eco Max Shoe Brush is great for kid's sports shoes and to brush up suede. Eco Max Brushes are Vegan, Fair Trade & biodegradable. 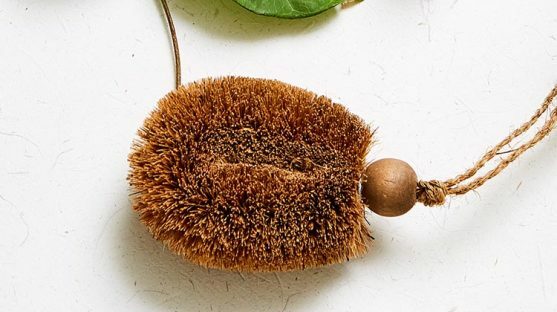 Idea for cleaning hands after gardening, this brush is handmade from coconut fibre a hard wearing natural vegetable fibre that is also anti bacterial. 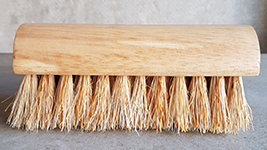 Eco Max Brushes are biodegradable so you can put them in your compost bin to breakdown naturally.